Hyatta currently owns seven other hotels in Europe but is now adding another! The Park Hyatt Vienna will be built within a Historic District with intentions to become one of Europe's key business and cultural destination. The plan is to be open in 2013 along with 13 other hotels in Europe. The Park Hyatt Vienna will encompass 143 rooms with 35 of them being suites. The hotel will be located in the Am Hof, one of the largest squares in Vienna. Also, the hotel will be within walking distance from the city's famous Opera House. Several hotels will be opening under the Park Hyatt brand in Baku, Beijing, Buenos Aires, Canberra, Chicago, Istanbul, Melbourne, and Paris. That's not all Hyatt has been up to! There are currently 100 properties under development around the globe. One of these will be a Park Hyatt luxury hotel schedule to open in New York in 2013. Several other hotels are under construction with 75% of them located outside of North America. 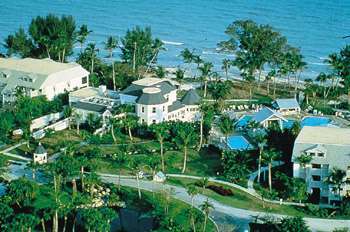 Currently there are six Hyatt timeshares available on www.timesharebrokersmls.com that you can select from.